BRACE 32 from March 20, 2015. 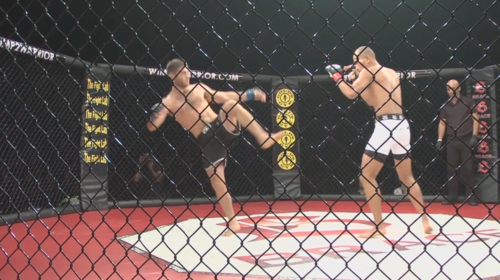 Andrew Mills vs David Francis BRACE 32 Mar 20, 2015 (8:17) Fighting in the first stage of Australian fight promotion BRACE MMA's 2015 tournament, Sinosic Perosh middleweight Andrew Mills kicked off the card with a first-round submission of David Francis to move his record to a perfect 4-0. 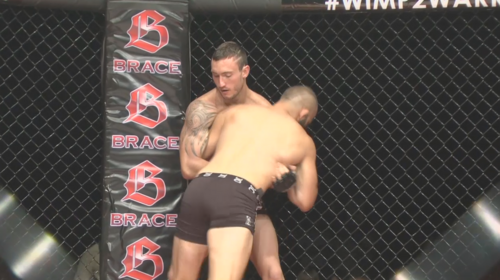 Greg Criticos vs Matt Darke BRACE 32 Mar 20, 2015 (6:29) Fighting in the first stage of Australian fight promotion BRACE MMA's 2015 tournament, Sinosic Perosh featherweight Greg Criticos moved to 2-0 when he finished Matt Darke via first-round rear-naked choke. 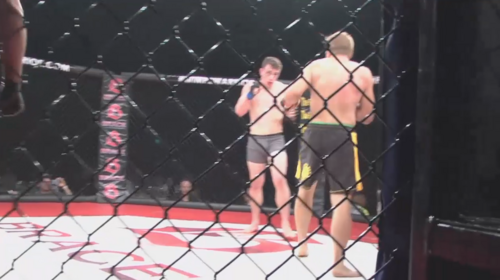 Ali Cevik vs Luke Martin BRACE 32 Mar 20, 2015 (22:52) Fighting in the first stage of Australian fight promotion BRACE MMA's 2015 tournament, lightweight Ali Cevik ground out a unanimous decision victory over Luke Martin. 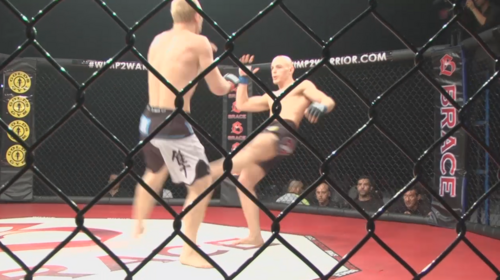 Josh Payne vs Chris Drummond BRACE 32 Mar 20, 2015 (17:24) Fighting in the first stage of Australian fight promotion BRACE MMA's 2015 tournament, featherweight Josh Payne did enough to take the split decision victory over Chris Drummond. Claire Todd vs Natalie Hills BRACE 32 Mar 20, 2015 (20:37) Fighting in the first stage of Australian fight promotion BRACE MMA's 2015 tournament, strawweight Claire Todd, making her pro debut, handed Natalie Hills her first loss by way of a third-round TKO. Mark Baskin vs Tom Cruz BRACE 32 Mar 20, 2015 (22:01) Fighting in the first round of Australian fight promotion BRACE MMA's 2015 tournament, bantamweight Mark Baskin earned the unanimous decision over Tom Cruz. Abel Brites vs Adam Trickey BRACE 32 Mar 20, 2015 (9:00) Fighting in the first round of Australian fight promotion BRACE MMA's 2015 tournament Sinosic Perosh product, lightweight Abel Brites, submitted Adam Trickey via rear-naked choke.